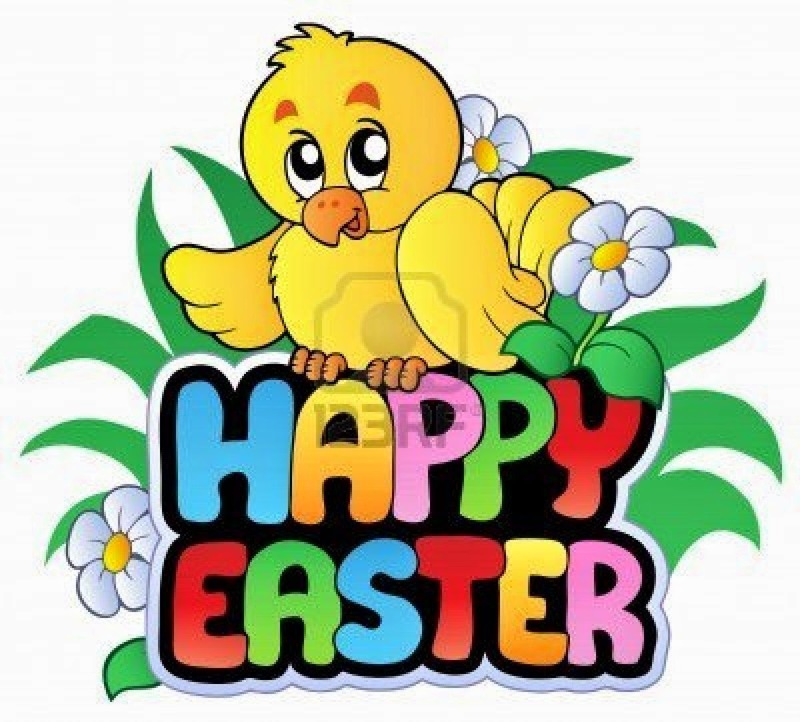 April 19, 2014 ~ Oh yes... another egg--citing event is going to happen tomorrow during th celebration of Easter Sunday ! My dear Tree Lizard ( Bar / restaurant ) owner friend Bee Lin and I had a family event set up for tomorrow. would be the venue for the Egg Hunting event and also the host for a bazaar including my handmade creations to represent My-SECRET-Corner jewelries. I am truly excited and looking forward to see kids and family gathering for tomorrow ... rain or shine. Goodies for the kids had already been prepared and the eggs would be ready for the kids to hunt during the afternoon. A set up menus catering to kids and adults had also been prepared . 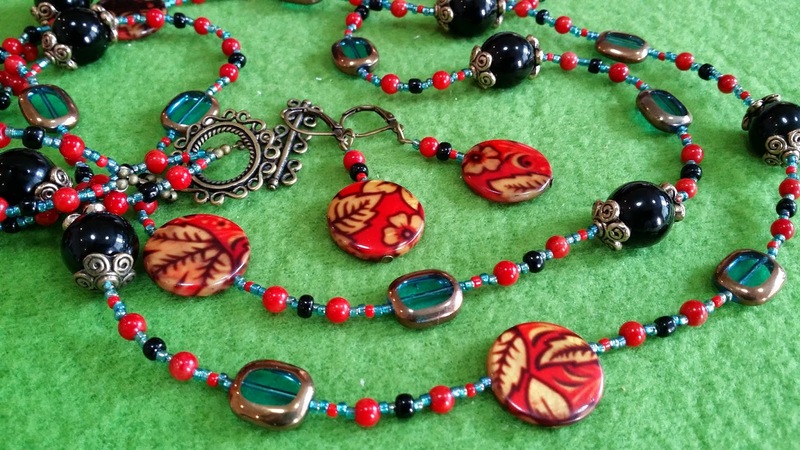 Aside from jewelries from yours truly, other items of interest would be offered on sale . These items would include stylish clothes, ladies accessories , aromatherapy products ranging from skin care and toiletries as well as the special participation of a charity booth managed by Ms. Sharon Oh selling dog food and treats in support of the dogs/ cats being rescued in Singapore. This is going to be a family fun day . 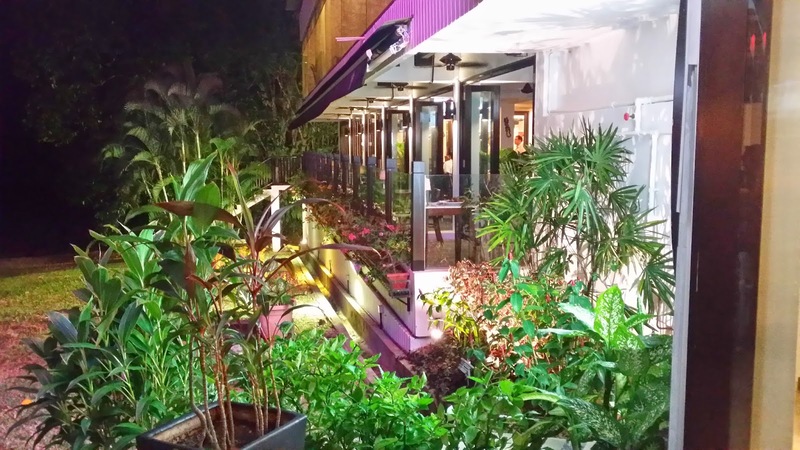 Kids would be spoilt with indoor and outdoor games with matching treats and prizes while the parents can induge themselves to all day dining and flow of drinks in a well balanced , relaxed ambience of the place. 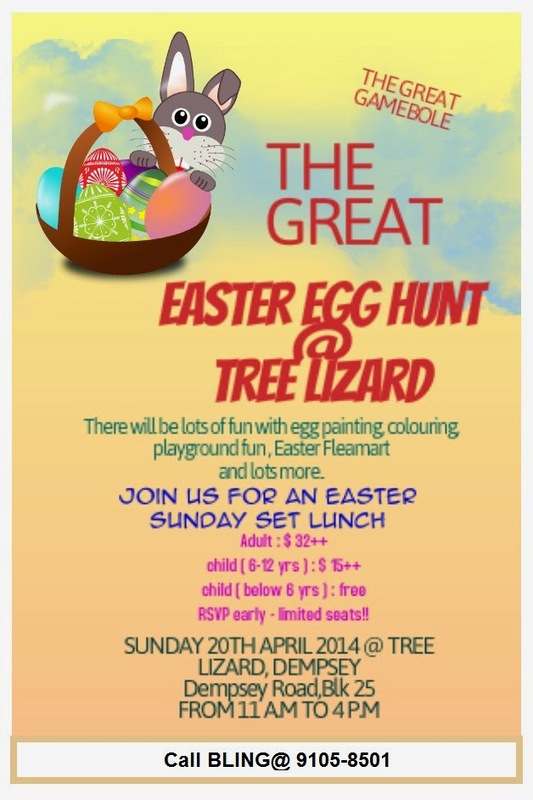 So come on down to Tree Lizard in dempsey tomorrow with your kids, family and friends for a fun filled Easter Sunday .